Increasing number of studies have investigated the impact of maternal exposure to air pollution during pregnancy and adverse birth outcomes, particularly low birth weight (LBW, <2,500 g at birth) and preterm birth (PTB, <37 completed weeks of gestation). 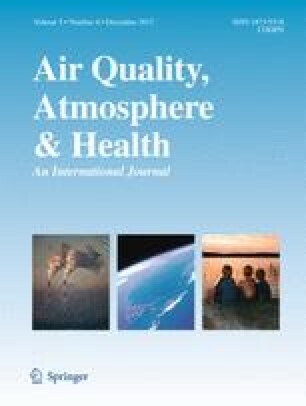 We performed a comprehensive review of the peer-reviewed literature and a meta-analysis to quantify the association between maternal exposure to particulate matter with aerodynamic diameter 2.5 and 10 μm (PM2.5 and PM10) during pregnancy and the risk of LBW and PTB. We identified 20 peer-reviewed articles providing quantitative estimate of exposure and outcome that met our selection criteria. There was significant heterogeneity between studies, particularly for findings related to PM10 exposure (LBW, I-squared 54%, p = 0.01; PTB, I-squared = 73%, p < 0.01). Results from random-effect meta-analysis suggested a 9% increase in risk of LBW associated with a 10-μg/m3 increase in PM2.5 (combined odds ratios (OR), 1.09; 95% confidence interval (CI), 0.90–1.32), but our 95% CI included the null value. We estimated a 15% increase in risk of PTB for each 10-μg/m3 increase in PM2.5 (combined OR, 1.15; CI, 1.14–1.16). The magnitude of risk associated with PM10 exposure was smaller (2% per 10-μg/m3 increase) and similar in size for both LBW and PTB, neither reaching formal statistical significance. We observed no significant publication bias, with p > 0.05 based on both Begg's and Egger's bias tests. Our results suggest that maternal exposure to PM, particularly PM2.5 may have adverse effect on birth outcomes. Additional mechanistic studies are needed to understand the underlying mechanisms for this association. The views expressed in this paper are those of the authors and do not necessarily reflect the views of the Health Effects Institute or its sponsors. The work was partially supported by a grant for CHERG to the US Fund for UNICEF and for the Global Burden of Diseases, Injuries, and Risk Factors Study. Both grants were from the Bill & Melinda Gates Foundation.